An award-winning artist, Lupillo Rivera made his debut in the mid-‘90s with the release of his first album, Selena, La Estrella. Since then, he has come out with over 20 different projects including El Señor de los Cielos, Despreciado, Con Mis Props Manos and En Acustico, to name a few. In terms of collaborations, he has worked with the likes of Natalia Jimenez, Chalino Sanchez, Larry Hernandez and Helena Ochoa. For his contributions to music, he has received a number of industry accolades including three Lo Nuestro Awards, as well as a Grammy Award for Best Banda Album. How lucrative has his music career been over the years? How many records has he sold? How wealthy is he? According to various sites, Lupillo Rivera has amassed a net worth of $12.5 million as of 2018. Did he earn the majority of this from his albums and singles? Let’s take a closer look at his accomplishments below. How did Lupillo Rivera Make His Money & Wealth? Born on January 30, 1972, in Jalisco, Mexico, Lupillo Rivera is the son of Pedro Rivera and Rosa Saavedra. At the age of four, he and his family moved to Long Beach, California, where he would eventually attend Long Beach Polytechnic High School as a teen. Interestingly enough, he had initially aspired to become a restaurateur. It wasn’t until his father—who owned a recording studio—decided to give him hands-on experience in the shop, that he developed an interest in singing. At the age of twenty-three, he released his debut album, Selena, La Estrella. From there, he took a short brief before coming out with two new projects in 1999, El Moreno and Puros Corridos Macizos. By the end of the decade, he had established himself in the Latino music community. Continuing to make himself known as an artist, he released a series of albums between 2000 and 2001 including El Señor de los Cielos, Y Sigue La Vendimia, Veinte Mujeres, Sufriendo a Solas and Despreciado, the last of which reached number one on the Billboard Top Latin Albums chart. Highly acclaimed, it eventually garnered him two Billboard Latin Music Awards, as well as a Lo Nuestro Award. To date, more than 500,000 copies of the record have been sold across the U.S.
Three years later, his popularity peaked again with the release of his album, Con Mis Props Manos. Complete with 11 tracks, the project had reached number one on the Top Latins Albums, Top Heatseekers and Regional/Mexican Albums charts in the U.S. In 2005, it also earned him a Latin Grammy Award nomination for Best Banda Album. Since then, he has come out with several additional albums including Enter Copas y Botellas, Desde Una Fiesta Privada, En Acustico, Tu Eslavo y Amo and 24 Horas, all of which were well received by fans. Outside of singing, he has also acted on a few occasions. In fact, he had made his acting debut in the mid-’90s film, Las nieves de enero. Some of the other titles that he’s appeared in include The 3 Wise Men and One Long Night. No, as far as we know, he is currently single. Previously, he was married to his second wife, Maria Rivera. Prior to that, he was married to Maria Gorilla. Does Lupillo Rivera Have Any Children? He has eight children from his previous relationships—one of whom was adopted. Does Lupillo Rivera Go to College? No, Lupillo Rivera did not go to college. Instead, he started working after high school. 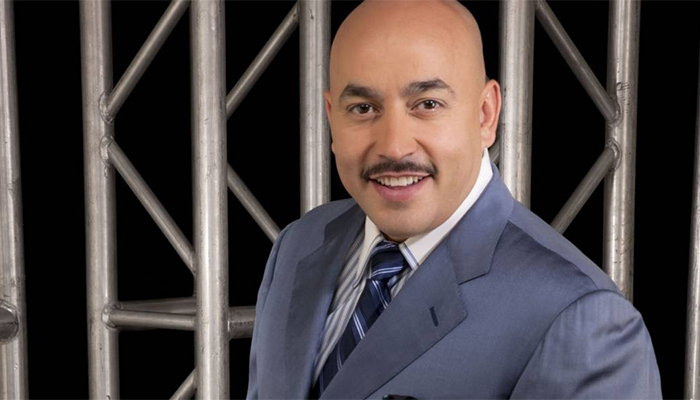 What is Lupillo Rivera Famous For? Lupillo Rivera rose to fame with the release of his album Despreciado in 2001, which reached number one on the Top Latin Albums music chart. Since then, he has continued to come out with many records. We do not have any details on Lupillo Rivera’s whereabouts at this time. What Kind of Car Does Lupillo Rivera Drive? Details on Lupillo Rivera’s vehicle is not available at this time. How Much Money Did Lupillo Rivera Make Last Year? Unfortunately, we do not have any information on Lupillo Rivera’s 2017 earnings at this time. Lupillo Rivera recently came out with a new album titled, Las Favourites de Mi Viejo. Want to know what the singer is up to? If you’re a fan, be sure to follow him on social media—you can find Lupillo Rivera on Twitter at @Lupillo8 or on Instagram at @LupilloRiveraOfficial. Alternatively, you can check out his official club on Facebook by clicking here.